If you or someone you love has been injured in a car accident, you need an experienced car accident lawyer who will fight for your rights. Jan 04, 2017 | Under Car Accident | Posted by Dante Law Firm, P.A. Every single day, all across Florida, someone like you is involved in a road accident. In fact, if you drive a car, there is a strong likelihood is that at some point in your life you will be involved in a road collision. But, do you know what to do when you get in a car accident? And that lack of knowledge can be costly. By their nature, car accidents are hugely unpleasant experiences. The chances are you will be somewhat shocked and perhaps a little confused about the nature of the accident. You will have things to immediately consider. Are you injured? Is anyone else involved? How are you going to get home? Once the initial shock wears off, you may be plagued with other concerns. How are you going to repair your vehicle? What about those injuries you’ve sustained? How are you going to pay for possible medical bills? The reality is, a car accident, whether major or minor, poses questions that you may or may not be in a position to answer. That’s why it’s so important to be fully informed ahead of time. Unsure of what to do when you get in a car accident? Uncertain about how to protect your interests? Don’t worry. We’re experts in personal injury and car accident law, and we’ve got you covered. It’s important to know what the law requires you to do when you’re involved in an accident. In a car accident, everyone involved will have their own particular agenda. Complying with these law requirements at the time of the accident is an important first step in protecting your interests. Immediately after the accident, if you are in a position to do so, quickly assess your own safety and the safety of anyone else involved. If the cars are blocking traffic or your safety or the safety of others is in danger, try to move the cars to a safe place. This is important if there is a chance of further smash-ups or pile-ups if the cars remain where they are. If there is no danger of other cars becoming involved, and if traffic can move past without disruption, do not move the cars. After you’ve assessed the safety of the car positions, it’s important to make sure that anyone else involved in the accident is okay. If anyone needs medical attention, call for that medical help immediately. The cars will probably have some kind of damage, so call the police department or Florida Highway Patrol (FHP) and report the accident to the authorities. Collecting information at the scene is vitally important, not only for your insurance company but for your accident lawyer as well. If there are passengers, obtain their names, numbers, and addresses. Documentation is crucial in protecting your interests. After an accident, information can become hazy or confused. Documentation is best acquired at the scene and in the moment. If there are any witnesses, speak to them directly and ensure that you get their information. Even if you do not feel that you are seriously injured, it is always best to be seen by a medical professional. Be aware that some injuries do not immediately show up. Some soft tissue injuries and some brain injuries take hours or even days to make themselves known. Other psychological issues that may arise from an accident may take some time to impact your life. In terms of protecting your interests, your medical records will help your attorney establish the severity of your injuries. As a result, it’s important they are documented. Be sure to take pictures of all injuries, such as bruises, broken bones, lacerations, etc. Call an experienced North Miami Beach car accident attorney as soon as possible and before you speak to an insurance adjuster. Our Law Firm knows how to help you repair the damage to your vehicle, obtain a rental car, and find medical treatment for your injuries–and we do so by making sure that all your out-of-pocket expenses and medical bills are paid for. Before you get your vehicle repaired, make sure you get several quotes first. Keep all receipts and document every expense that you pay in relation to the car accident. This includes over-the-counter medications, bandages, and even co-pays to the doctor’s office. So, there you have it. You can now consider yourself fully versed on what to do when you get in a car accident. 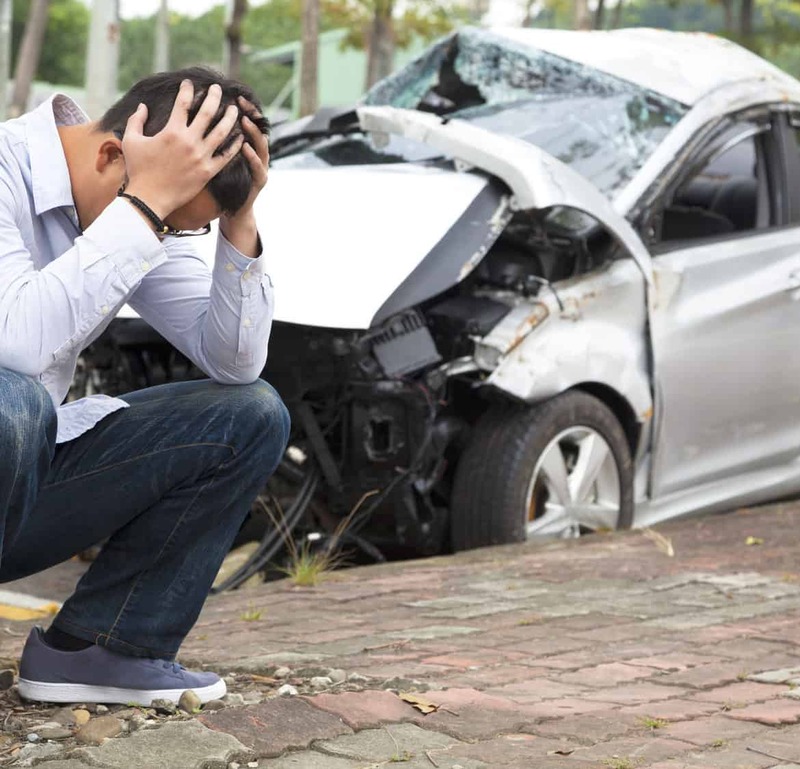 Being involved in a car accident can be shocking, upsetting and, in some circumstances it can even be traumatic. Knowing what to do ahead of time is vital if you are to protect your interests. We can’t go back in time and prevent the accident from happening. But, together we can make sure that your interests are fully protected and you get the full compensation you deserve.